Each pack contains 3 randomly distributed cards with 1 guaranteed Starfoil Card. The cards are taken from a set of 50 cards which are all available as Commons and as Starfoils. This means a whole bunch of cards never seen before as Starfoils, and a great value for money. 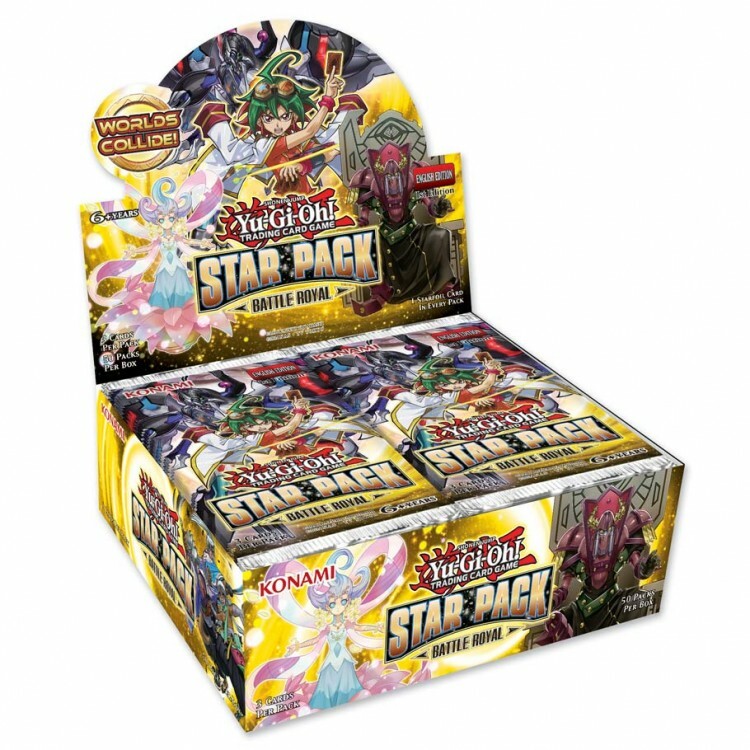 The Star Pack – Battle Royal set contains 49 Common Cards and 1 Starfoil only card.